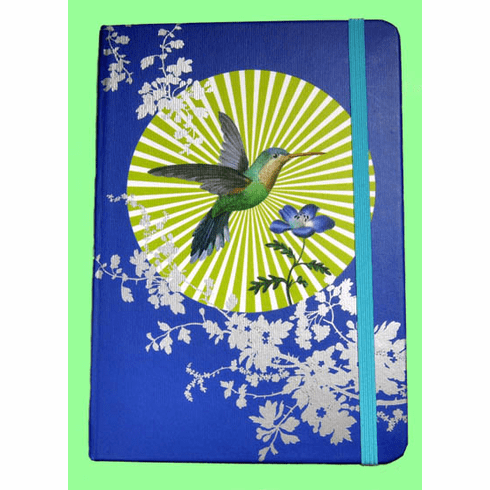 Hummingbird Journal - Exclusive textured vintage cover features retro-modern hummingbird image with a foil embossed foliage background. 160 lined pages, ample for many months of journaling. Complete with elastic attached bookmark so you always know where you left off.